Before, there was only limited construction equipment. However, this limitation has not prevented architects and engineers to build amazing skyscrapers, towers and the likes. Let us all take a look at the most ambitious construction projects made without the use (or with a little use) of construction equipments in our amazing top 10 lists. The Coliseum project started AD 70 and was done by AD 80. The 10-year construction project has arches and vaults which aid in the strength of the building. Underneath the arena, there are elevators, hydraulic mechanisms and tunnels The Coliseum project started as a celebration for military triumph. They say that this is built as a symbol of Rome’s glory. The construction project duration of this building is from 447 BC to 430 BC. For seventeen years, people built this building to become a temple for the Goddess Athena. Many consider this as the best Doric Temple in Ancient Greece. The construction of this famous Egyptian building started in 2580 BC and lasted till 2560 BC. It took people twenty years to build this tallest man-made structure. Its construction period started 1445 AD to 1508 AD. This 63- year old construction project was done employing the mortar less construction method. This building shows how creative people in the South America can be. This construction project took a whopping 252 years to accomplish. This building features the largest stained glass in the world and shows the great skills and amazing creativity of the craftsmen in medieval times. 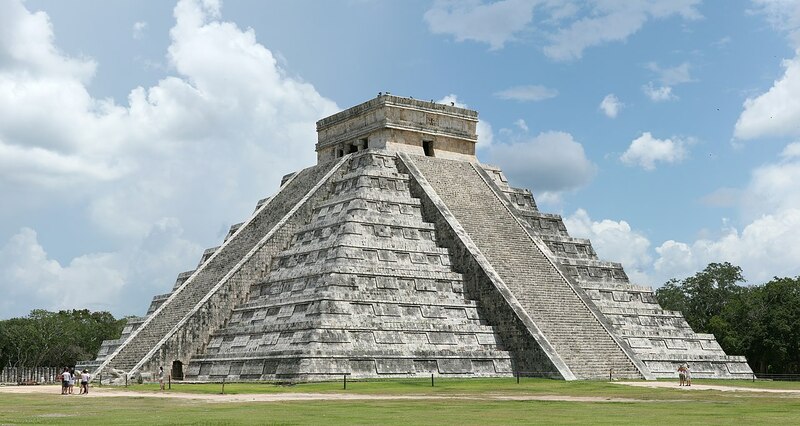 The popular Mayan settlement in Mexico took about 400 years to be built. The construction started in 600 AD and lasted until 1000 AD. This exhibits great artistic imagination and incredible mathematical precision. On the top 4 of our list is the Angkor Wat that can be found in Cambodia. The construction started on AD 802 to AD 1220. This temple took 418 years to build. This is said to be one of the best examples of the Khmer architecture. Architectural style Assyrian, Persian, Egyptian, Hellenistic, Roman Elements mixed with Nabataean elements. The top three in the list is Petra. Petra is a citadel which you can find in the middle of the desert. This is carved straight into a rock. It took 850 years to finish this establishment. The building has been the key center of trade in the Near East. This project started on 3100 BC and lasted on 1500 BC. This took 1600 years to get built however no one really knows the reason behind this project. Despite that, this remains to be a remarkable feat that the Neolithic society has ever done. Of course, this will not be hailed as one of the wonders of the world for nothing. During the 2000 years of construction of the great wall, a lot of men have died. This construction is not only a symbol of imperial power; it is also a military tool. It is surprising that these amazing projects have been done without the use of any construction equipments. Lucky for our architects and engineers today, they have a wide array of equipments and tools that they can use. If you want to build structures as great as these ones, it is recommended that you make use of equipments through El Camino Rental construction equipment. This will help you have a hassle-free and affordable construction project.